Business leaders, developers, data heads, and tech enthusiasts – it’s time to make some room on your business intelligence bookshelf, because once again, datapine has new books for you to add. We have already given you our top 12 data visualization books, top eight business intelligence books, and top ten data analytics books. Now it’s time to ponder over our hand-picked list of the 16 best SQL books available today. Structured Query Language (SQL) is the most popular language utilized to create, access, manipulate, query, and manage databases. This particular code, or language, was developed in the 1970s, and since then, it has become the standard for communicating with various relational database management systems (RDMS), including the likes of Oracle, Microsoft SQL Server, Sybase, PostgreSQL, Informix, and MySQL. Whether you’re a programmer, a data analyst, or a business intelligence end user, knowing the best way to learn SQL is invaluable to anyone dealing with or handling digital data. SQL isn’t just for database administrators (DBAs). Learning SQL is incredibly useful for querying databases, operating online BI (Business Intelligence) tools, and leveraging the advanced features of BI platforms. Plus, knowing the best way to learn SQL is beneficial even for those who don’t deal directly with a database: Business Intelligence software, such as datapine, offers intuitive drag and drop interfaces, allowing for superior data querying without any SQL knowledge. That said, knowing the SQL basics will help you understand your organization’s data and better generate actionable insights. Exclusive Bonus Content: Get our SQL book checklist for free! Download our complete list of the most popular SQL Books for free. SQL assists in the structuring and management of information in a database, in addition to conducting searches for information using structures. Some of these ‘structures’ may include putting all the information; for instance, a structure could be about cars, placing them into tables that consist of makes, models, year of manufacture, and color. With a MySQL dashboard builder, for example, you can connect all the data with few clicks. SQL can perform a multitude of complex functions in a fraction of a second. A host of notable brands and retailers with colossal inventories and multiple site pages use SQL to enhance their site’s structure functionality, and MySQL reporting processes. These businesses include eBay, Autotrader, and Amazon. Despite being around for some time, the effective and invaluable nature of Structured Query Language means it’s still one of the world’s most sought after skills, with companies across industries looking for SQL experts to help them with some of their most important business initiatives. Feeling inspired? Let’s look at our 16 best books for SQL. Each of these 9 hand-picked books on SQL is strikingly different yet equally invaluable in its own way. If you’re looking to get a solid grip on the fundamentals of Structured Query Language as well as its functionality in a real-world context, these are the resources you need. Whether you need to write database applications, perform administrative tasks or utilize a SQL report builder, this book is one of the best books to learn SQL. Steve Tale’s “SQL – The Ultimate Beginners Guide” is exactly as it sounds: a great book for beginners. The SQL concepts are laid out in simple, concise language. Tale has also provided great examples and sample tables to further augment the concepts and instructions. This book will serve as an essential guide for you, as a SQL beginner. In addition, the concepts of SQL are laid out in a simple, concise language and instructions to help you learn the steps properly. 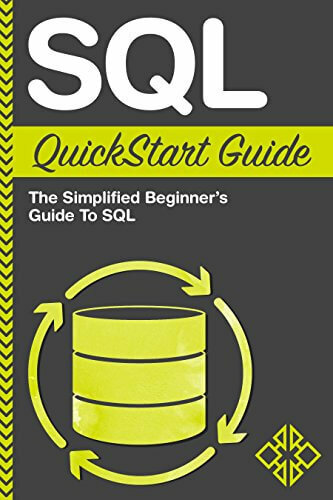 If you head over to Amazon you will see great reviews for one of our favorite SQL guides for beginners. The “SQL: QuickStart Guide” strives to show readers how SQL actually works. Through multiple step-by-step examples, the authors take readers from knowing absolutely nothing about SQL to being able to quickly retrieve and analyze data from multiple tables. Moreover, you will find many practical examples of common mistakes to avoid that beginners are prone to, making this one of the best books to learn SQL. Lynn Beighley knows how to write about technical topics in an approachable way. 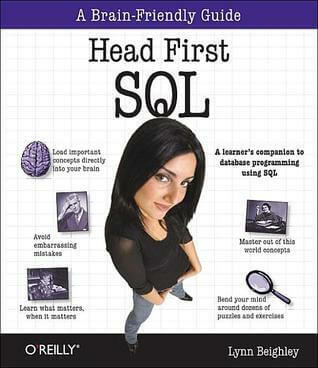 Her book, “Head First SQL,” does just this. It’s visually rich format is designed for the way your brain works, not in a text-heavy approach that puts you to sleep. This SQL book takes a fun approach to show the fundamentals of SQL and how to really take advantage of the language. Whether you are brushing up on the basics or starting from scratch, really is a ‘best book for SQL’. Oh, and she wrote another great book about PHP and MySQL, too. 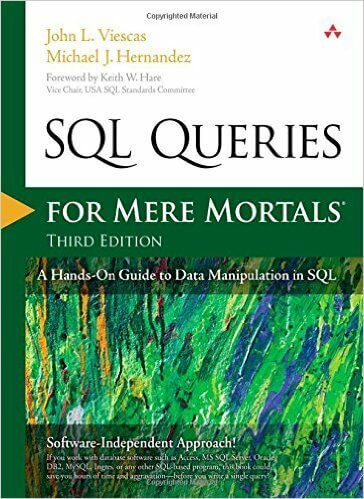 With “SQL Queries for Mere Mortals” industry experts John L. Viescas and Michael J. Hernandez wrote one of the clearest and simplest tutorials on writing effective SQL queries. This hands-on classic guides readers through creating reliable queries for virtually any modern SQL-based database, which you can also use as a mean to build your own SQL dashboard. The authors demystify all aspects of SQL query writing from simple data selection and filtering to joining multiple tables and modifying sets of data. 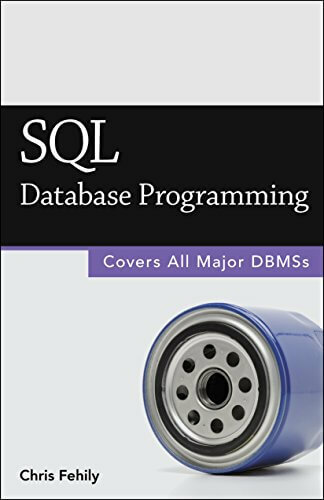 Whether you’re a DBA, developer, user or student, this is perhaps the best book for SQL if you’re looking to build a solid all-around knowledge base you can build on. The seventh on our rundown of the best books on SQL comes in the form of this concise yet insightful guide from Structured Query Language experts Stephane Faroult and Peter Peter Robson. A cohesive collaboration between two of SQL’s most prolific voices, this SQL book offers a real insight into best coding practices and processes. Focused on the art of developing the kind of SQL code that works the first time (rather than ironing out any potentially detrimental mistakes and bugs later on), this is a ‘best book on SQL’ for any budding SQL enthusiast. Based on learning a craft rather than gaining a ‘quick fix’, The Art of SQL is a manual for those looking for long-term success with one of the world’s most invaluable processing languages. This practical resource is based on the notion that the ability to write Structured Query Language and work proficiently with data is currently one of the most sought after job skills. 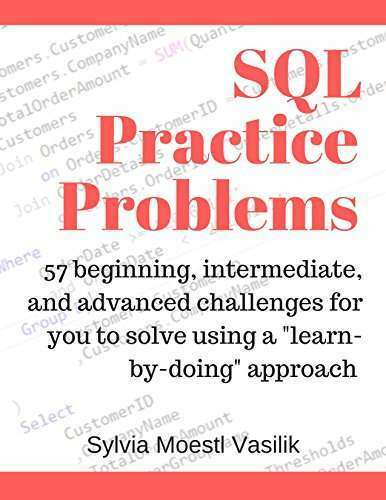 Here, author Sylvia Moestl Vasilik showcases a number of SQL Practice Problems that you will often come across in a real-world context, one of the best SQL books on our list – and one of the most practical. For those looking to utilize SQL an existing or future job role, this ‘learn-and-do’ guide is digestible, insightful, fun, rewarding, and practical (as mentioned). 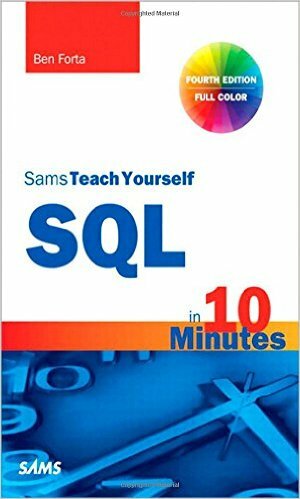 Broken down into a host of priceless real-world situations and scenarios, this amazing beginner’s book on SQL offers a background into the language’s syntax, set-up instructions, a sample database, and 57 real-world problems and challenges that will help you to grasp the foundations of SQ, taking your skill set to an entirely new level. An essential addition to any budding SQL developer’s reading list. 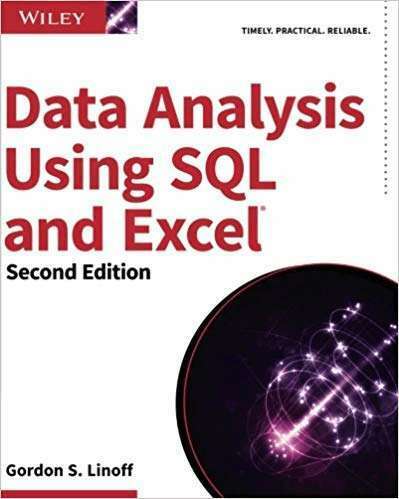 For those working closely with advanced data analytics, Data Analysis Using SQL and Excel, this 2nd Edition by information expert Gordon S. Linoff will make an essential addition to your educational booklist – and is one of the best books on SQL on our list, hands down. One of the best beginners’ books on SQL for the analytical mindset, this masterful creation demonstrates how to leverage the two most vital tools for data query and analysis – SQL and Excel – to perform comprehensive data analysis without the need for a sophisticated and expensive data mining tool or application. Drilling down into the ‘where’ and ‘why’ of SQL, Excel, and data mining, this book is informational and easy to follow, making it a winning addition to our list of the best SQL books. Now that we’ve focused on the best books for learning SQL for novices, let’s move into advanced territory with the next five on our list. 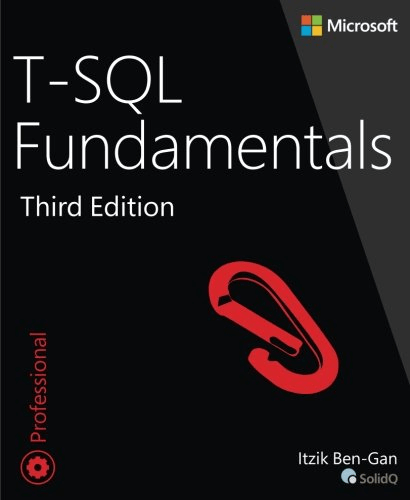 If you already have the basics down, there are several excellent books out there to take your SQL to the next level. If you are at this stage of your journey, it is important to look into the literature that fits your specific relational database management system (RDMS). While numerous core concepts transfer from one platform to another, there will be differences between Oracle, MySQL, SQL Server, etc. It’s worth noting that some of the following SQL books are not RDMS-specific. 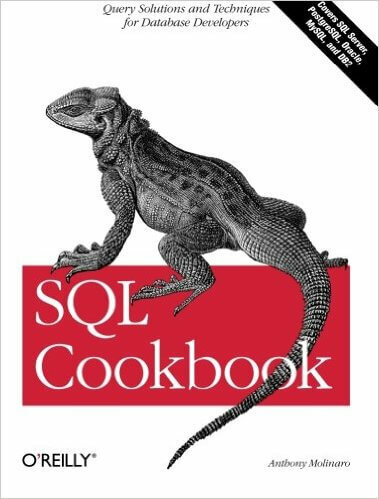 The “SQL Cookbook” is for taking your SQL skills to the next level. If you know the rudiments of the SQL query language, yet you feel you aren’t taking full advantage of SQL’s expressive power, this book is for you. In the “SQL Cookbook,” experienced SQL developer Anthony Molinaro shares his favorite SQL techniques and features. Written in O’Reilly’s popular Problem / Solution / Discussion style, “The SQL Cookbook” moves quickly from problem to solution, saving you time each step of the way. “SQL Database Programming” could also have been listed as an SQL book for beginners. This learning SQL book does a great job of covering the basics. However, it also goes far beyond that. The book is great for various end users, analysts, data scientists and app developers. Readers will find general concepts, practical answers and clear explanations of what the various SQL statements can do. The book covers Oracle, Microsoft SQL Server, IBM DB2, MySQL, PostgreSQL, and Microsoft Access. The all-encompassing nature of this book makes it a must for a data bookshelf. Ralph Kimball and Margy Ross co-authored this third edition of Kimball’s classic guide to dimensional modeling. This book provides a complete collection of modeling techniques, beginning with fundamentals and gradually progressing through increasingly complex real-world case studies. 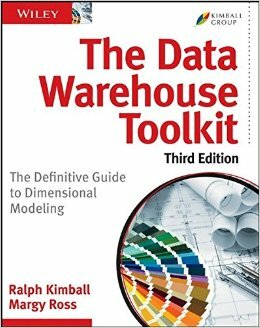 It is a must-read for understanding data warehouse design. 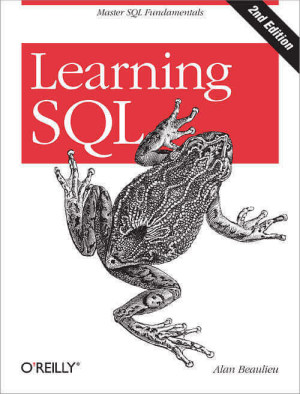 While this book is not specifically a SQL book, it will take your SQL understanding to the next level. 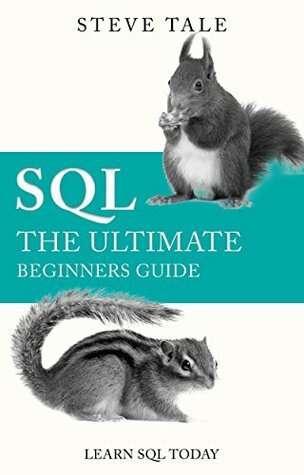 The best book on SQL if you’re looking for ways to sharpen your existing skills in a real-world context. 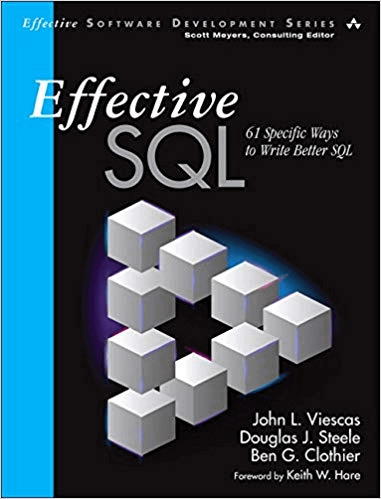 For anyone with basic proficiency in writing structured query language, this industry-acclaimed learning SQL book from John L. Viescas, Douglas J. Steele, and Ben J. Clothier offers an actionable means to take your skill set up a notch and apply your newfound knowledge to a host of real-world scenarios or situations. Honing in on very specific approaches and methodologies, Effective SQL: 61 Specific Ways to Write Better SQL will help you to craft better Structured Query Language while improving your overall success and efficiency field. With realistic example code for many versions of SQL, including IBM DB2, Microsoft Access, Microsoft SQL Server, MySQL, Oracle Database, and PostgreSQL, this really is one of the world’s best advanced-level books for learning SQL. An artist in his field, Bill Karwin has assisted countless people in writing better SQL and creating stronger relational databases, and now it’s your turn to benefit from his world-class knowledge. 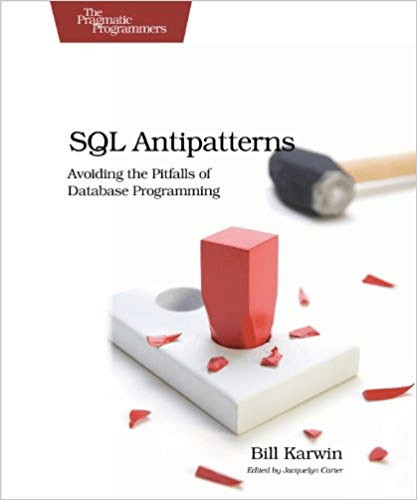 SQL Antipatterns: Avoiding the Pitfalls of Database Programming is unique in that it focuses on common SQL programming errors, offering a clear-cut insight into avoiding such mishaps or correcting them should they occur. Broken down into four practical chapters, this resource is perhaps the best way to learn SQL at a more advanced level. 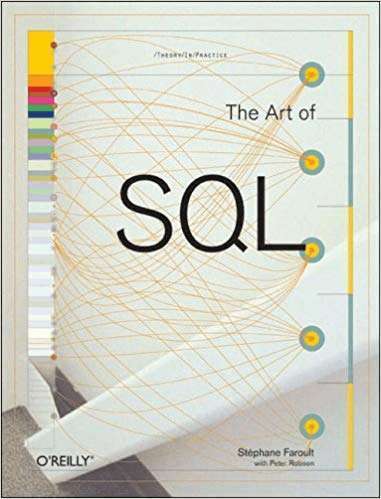 It’s something you should have on your desk for reference at all times and the best book on SQL if you want to step outside the box while fine-tuning your technical skills. 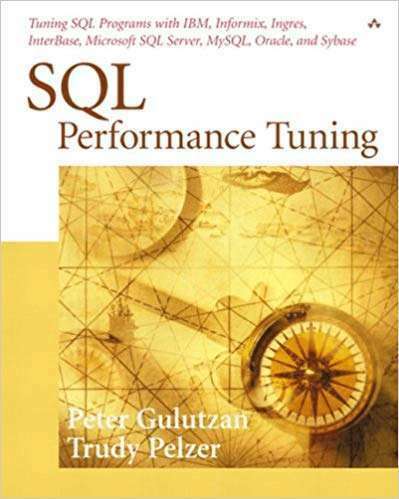 An effective collaboration from two talented technical minds, SQL Performance Tuning is an SQL book that is priceless for DBAs and programmers looking to enhance the core performance of their databases. Covering all types, styles, and brands of SQL, this is a resource that stretches beyond the reaches of a manual alone. Instead, this invaluable guide provides a practical means of not only improving your performance in everyday situations but getting the very best from your database – or databases – over time. One of the most valuable ways to improve your programming skills and a ‘best book to learn SQL’ if we ever read one. For advanced learners looking to broaden their skillset within the field, this is one of the best books for SQL on the planet. Once you’ve mastered the art of SQL and you’re able to apply your newfound knowledge in a range of practical situations, learning key elements of T-SQL is the next logical step. Specializing in Microsoft SQL Server and Azure SQL, this platform-agnostic guide is well-balanced, easy to follow and serves up a host of challenges, and solutions, that will sharpen your skills while allowing you to look at your programming efforts through fresh eyes. These prolific SQL books are without a doubt the best books on SQL and will get you off to a great start. But if you’re particularly hungry for knowledge, your SQL education should extend even further: there are numerous amazing SQL resources out there including these great business intelligence podcasts and programming challenges. Also, interactive online tools and platforms such as Codecademy and SQLZoo will allow you to develop and practice your programming skills in an engaging, practical setting – an excellent supplement to your book learning efforts. Also, researching some of the business intelligence examples can provide a holistic overview into the value of utilizing a software for generating comprehensive business data. To fully master SQL, you should experiment with your own organization’s data. If this makes your development team a little nervous, you could always ask for a local copy of the database so you can play around, using it as a practice platform without making a real impact on your organization. You can also utilize data discovery tools to get an additional insight on the importance of data and how to approach it. Getting your hands on genuine data that you can relate to is the most effective way to learn, and these best books on SQL will offer you the guidance you need for true practical success. With these 16 SQL books in hand, you are well on your way to becoming a SQL master. But, if you don’t want to become a fully-fledged SQL pro, that’s not a problem – BI Tools, such as datapine, provide easy drag and drop interfaces that perform the SQL queries for you – data quality will become more efficient and cost-friendly. We wish you the best of luck. If you have any questions about our tools, platforms, or services, don’t hesitate to try our software for a 14-day trial, and for more insight into our solutions, you can explore our dashboard examples and templates.